Thirty Oregon Wines in Thirty Days, Day 19! Oink. | the wine snob. Thirty Oregon Wines in Thirty Days, Day 19! Oink. Happy Monday! This is such a fun and brilliant little wine- the EIEIO Swine Wine “Rie-Chard”, 2013 Willamette Valley. I actually had this bottle several weeks ago, when I had the good fortune to be introduced to Jay McDonald, winemaker and owner of EIEIO wines (Jay McDonald had a farm, EIEIO! get it?!) I absolutely loved it the minute I saw it. I do have a fondness for pigs, so I was a little predisposed. Jay is sort of like a Horcrux of this area… but in a good way. I’ll explain. 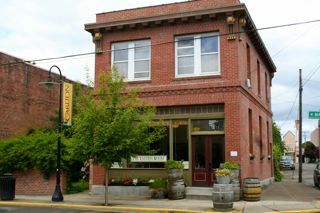 Jay opened The Tasting Room in Carlton back in the day right in the center of town in a really cool old bank building. I can’t find an exact date, but suffice to say it was right when a lot of Oregon winemakers that are now very well-established were just getting their start. The Tasting Room was a retail store/tasting room (go figure) where local producers could get their wines out to the people before they were big enough to have tasting rooms of their own. Legend holds that many-a now well-known winemakers had help from Jay in the beginning. Thats why he’s a Horcrux- he has a bit of all of their souls. But again, not in a sinister way. Dead center in the bustling little metropolis of Carlton. So that is a little background- but Jay has been making his own wine since 1998. 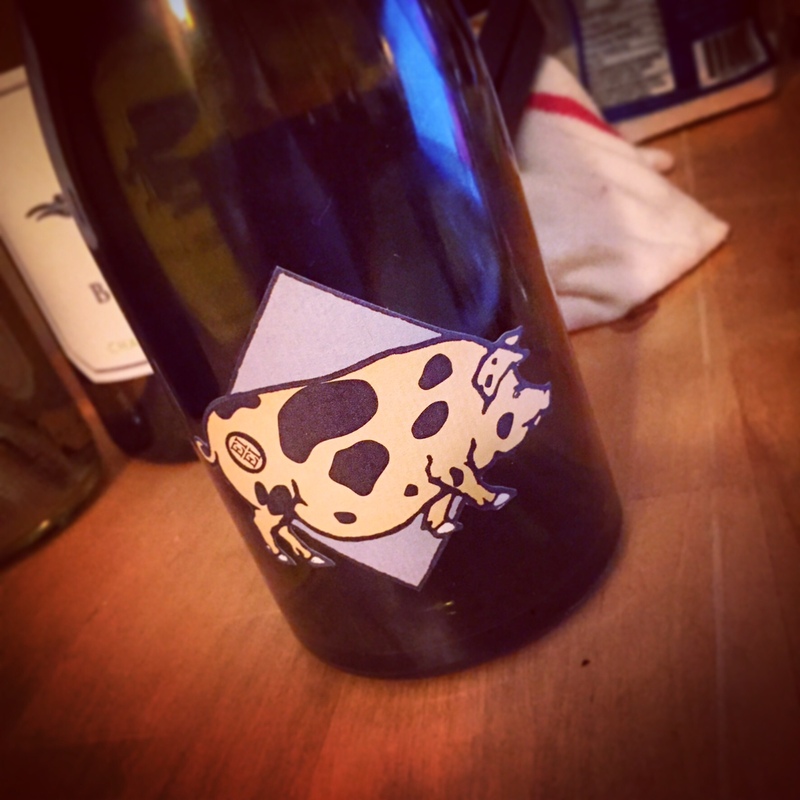 The “Swine Wines” as they’re called, come in Pinot Noir and this Rie-Chard form. This particular bottle is known as a Piglet, as its a 375ml bottle. The full-size 750ml’s are available for purchase on his website here. I’m not totally positive on the availability of the 375’s, so don’t hate me. So whats the story on this little Piggy? It is a blend of Riesling and Chardonnay, not your most common bedfellows; obviously no one told them that, because they make a lovely couple in this wine. It captures the cool-climate persona of the Willamette Valley with finesse. Gentle, yet with a bracing acidity, it will enchant with aromas of pear, quince, green apple and nuances of honeysuckle. If you’re patient enough to let this wine open up, its texture will soften and charm your pants off. This wine is actually what began my fondness for half bottles. They’re just fun, doggone it. A slight amount of residual sugar makes it very accessible and bright. Good clean fun. Plus, did I mention its cute? Its cute. Jay’s Chardonnay is downright fantastic as well- really looking forward to the Chardonnay Symposium in just over a month! This concludes Day 19. Hope you enjoyed your intro to one of the coolest dudes in the Valley! ← Thirty Oregon Wines in Thirty Days, Day 18! We visited EIEIO a few years ago and loved their wines. I also enjoyed that they display wine in the old bank vault in the store. I really should get back there soon. Thanks for sharing! Where do you live? Come this summer! We are in Bellingham, WA. A fairly easy weekend trip! Pingback: Oregon Wine Month: EIEIO & Co! | the wine snob.